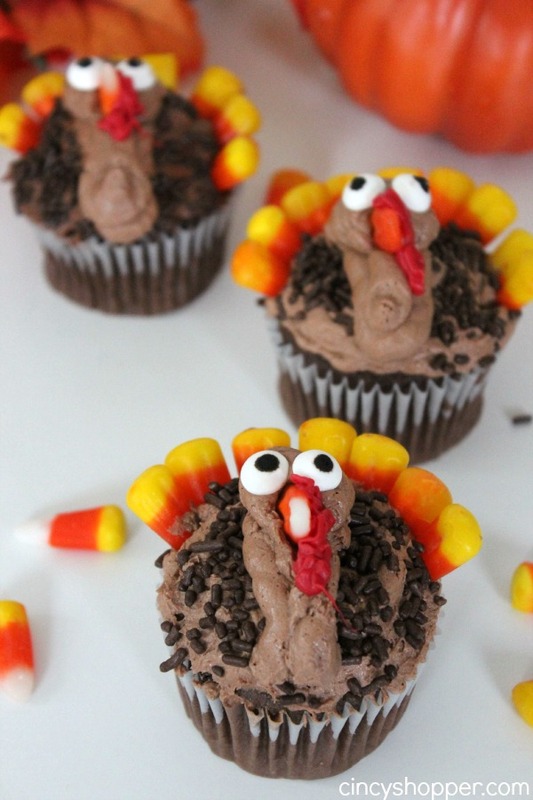 If you are looking for a fun Thanksgiving dessert idea these Easy Turkey Cupcakes will be perfect. Our kids always like to participate in helping with Thanksgiving dinner so easy cupcake decoration has always worked best. 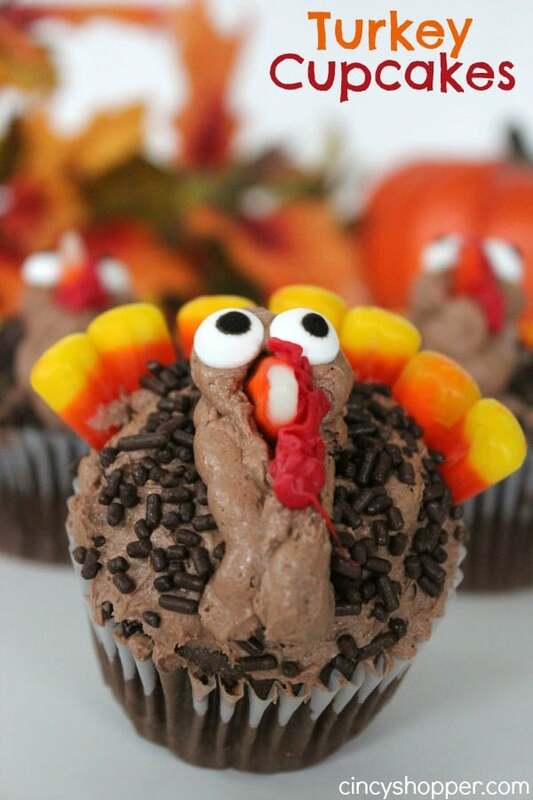 We had the kiddos decorate up our fun Thanksgiving Pilgrim Hats for the dessert table and these Turkey Cupcakes will make for a nice addition. 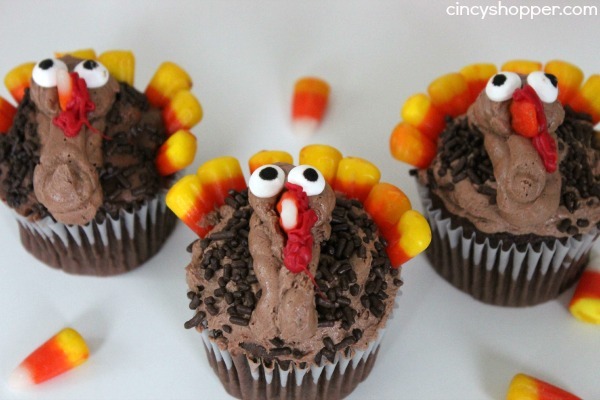 For our Turkey Cupcakes we just used a simple box mix and decorated them up with some icing, candy corns for feathers and some extra addition of some sprinkles. 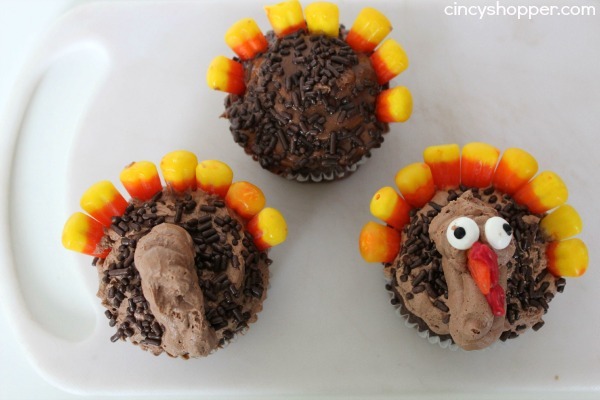 So simple and perfect for the kiddos to decorate for the holiday. 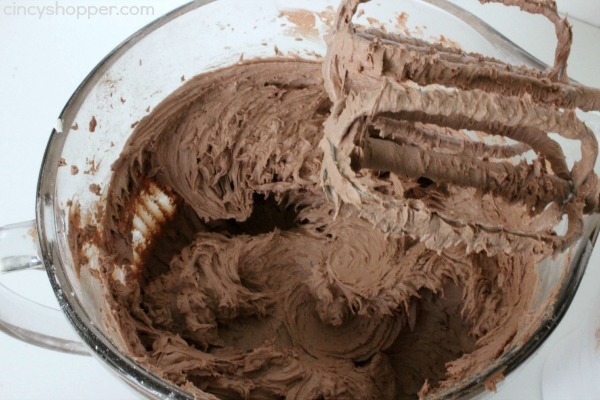 Just grab a basic box cake mix, store bought icing or you can make your own like we did. Search your candy dishes for extra left over Halloween Candy Corn and maybe some candy eyes you have left over from another project. 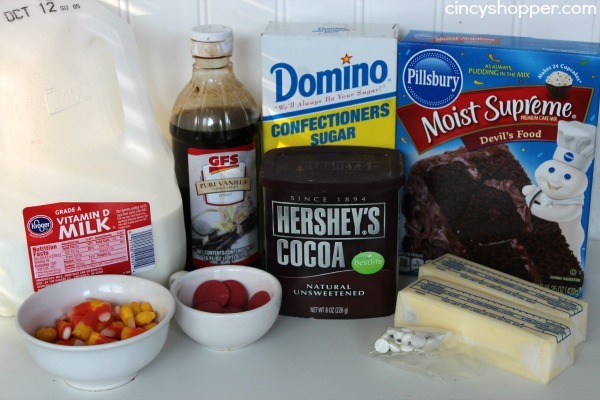 If not just use a little dab of icing for eyes.